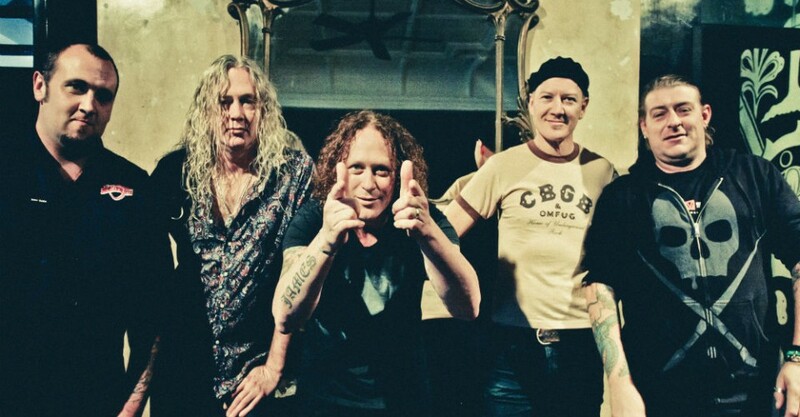 For 25 years The Screaming Jets have been dishing out great Aussie rock. With six studio albums, two live releases, more than 20 singles and two DVDs, these boys have established a reputation as one of Australia’s best live bands. To celebrate their silver anniversary, The Screaming Jets have released their seventh studio album, Atomic 47, and are taking it on the road and across the country. Dave Gleeson has been living happily in the Adelaide Hills for the past 10 years with his wife and two children. It’s not common knowledge but used to be a plumber’s assistant by trade. It’s not like you have the time for it really. Between live gigs with The Screaming Jets and The Angels, radio and parenting, it’s amazing you find time to sleep. Your recent tour with The Angels was fabulous. The Gov was packed, the audience were totally into it, the tribute to Doc Neeson really good and the atmosphere was fantastic. But there was a part of me that kept expecting a Screaming Jets song to come out! So, how did you come to be with The Angels? “Doc left in 2010 and John and Rick were going around performing as The Brewster Brothers,” Dave says. “I was at one of their shows and got up and sang a few songs with them. They then invited me along to some demo stuff they were doing in Sydney, which I was happy to do, and it went from there. The demo songs were sounding good, the boys were excited to be back in the studio and getting stuff down and, before we knew it, we were organising a tour and off we went. Do you enjoy the radio work? You’ve been quoted as once saying that you were happy you made it past 25 years of age because you didn’t think you would live that long. Now The Screaming Jets, after starting out with a Battle Of The Bands win, have reached the same milestone. How’s this all feeling for you? There have been line-up changes through the 25-year history of the Jets, but Dave and bass player Paul Woseen remain steadfast as the original founding members. Guitarist Jimmy Hocking joined the band in 1993 playing until 1997 before returning in 2009. Guitarist Scotty Kingman (Horsehead) joined in 2007 and drummer Mickl “The Slayer” Sayers (Tripguage) became part of the band in 2005, replacing Col Hatchman. We ask Dave if the dynamics of the band change when members leave. “It is hard because there is a part of you that wants to maintain the original band; there’s always a certain amount of romanticism that goes along with that,” he says. “But the plus side is that you find someone who is excited and bringing new energy to the band. It’s a bit like getting a new toy when you hit it off with new members. Jimmy Hocking and I are a good example of that; we’re both very silly when we’re together. Do you all write together as a band? At the time of speaking with Dave, the recording process for the now completed Atomic 47 album had not yet begun. “We’re only doing four days in the studio,” he proudly declares. “We’ve decided that all that other wankery that goes on with recording is not for us; we’re just going to get in there and record it as live as we can and get it out there. Scotty, our guitarist, recently built his own studio – Yabby Road Studios – and it’s perfect. It’s a big room for us to get in there and just bang it out. “As a producer and engineer, Scotty has worked many times with James Reyne’s and Mark Seymour’s records, so it’s going to be very in-house, which excites me more than anything. No useless outside influences,” he says, with a sarcastic snooty voice. All For One has always been the album of choice for me to shake off the frustrations or to get pumped up. Do you enjoy singing ballads? Shivers is a perfect example. Dave explains that the band wanted and album name that was a little bit cryptic and that it was Paul Woseen that came up with Atomic 47 – 47 being the atomic number for silver. It’s completely apt with 25 years being the silver anniversary. He is also very excited to be playing at The Gov once again. 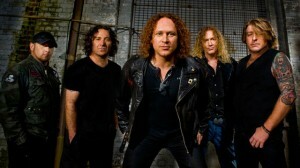 The Screaming Jets launches Atomic 47 at Governor Hindmarsh Hotel from 7.30pm on Fri Oct 24 and Sat Oct 25.